Whether you are interested in establishing a Purple Martin colony or just want to learn more about this graceful, friendly native bird, this presentation will provide you with information that will expand your interest in and knowledge of the species. 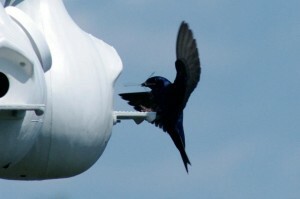 The presentation can be adapted in length and content to fit the needs of the audience, but it typically includes a PowerPoint slideshow; a martin feeding video; props to demonstrate ideal housing types, nesting materials, and predator guards; and a free informational booklet prepared by the Purple Martin Conservation Association located in Pennsylvania and affiliated with Cornell University. To schedule a presentation, contact Penny Briscoe at (269) 649-3008 or pennyhbriscoe@comcast.net. 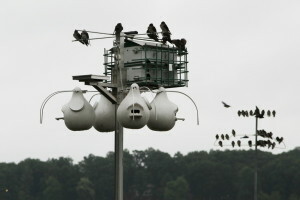 To learn more about Purple Martins, go to http://purplemartin.org/main/mgt.html.